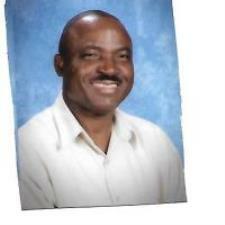 I have been teaching and tutoring mathematics, natural and social sciences for over 16 years. I have a Bachelors degree in Chemical Engineering, a Masters degree in Business Administration (MBA) and Associate degrees in computer information system. I attended universities and colleges both in Nigeria and the United States. I have also worked in the manufacturing and service industries, where my knowledge of math and science have been greatly applied. My love for tutoring stems from the fact that every student can succeed in these subjects if the method of tutoring is tailored to the individual's needs and understanding. Therefore, my tutoring is student-centered. I also feel happy when I see that I have made a positive impact on my students. My field experience also affords me the ability to supplement my teaching with practical examples. I taught and tutored in a two-year college for 7 years; with this experience, I know what students need to succeed in the college as well as concepts needed by the middle and high school students to prepare effectively for college. My experience in different educational systems enable me to help students from any background. My tutoring competences include all k-12 mathematics areas and undergraduate mathematics courses, including elementary mathematics, Prealgebra, Algebra 1, Geometry, Algebra 2 with Trigonometry, PreCalculus, Calculus, Finite mathematics, Discrete Mathematics, Statistics (Basic and Intermediate), Chemistry. Other courses tutored are Principles of accounting, Accounting for managers, Basic Finance, as well as ACT and SAT preparation. I am abreast of the common core standards, and I am also a part-time teacher in one of the city schools. Having taught mathematics in the middle and high schools, and a two-year college, I possess the experience of knowing what your teacher requires of you to complete your homework and other assignments. I tutor graduate students in statistics and Business courses. My tutoring sessions are always interactive to ensure that the student is fully active throughout the period. I have tutored students from various school districts, including Hoover City Schools, Birmingham City Schools, Shelby Schools and many others. My undergraduate students have been from different colleges and universities. My approach to tutoring has always been to employ the right method that the student can understand and participate in, as there are more than one method to solving a problem. My method is student-centered. I am very much concerned about my students' success, because I believe that every person can be taught to understand and enjoy mathematics. We need mathematics in our lives and it is crucial for success in the college. Please contact me and I will respond to your request in less than 24 hours. My charges are moderate, and you will get value for your money. In addition to mathematics, I can also help the elementary and middle school students in all the subjects they are enrolled in as a package. My students have always scored at least two grades up. I also prepare students for the next grade during the summer. I have received accolades from students and parents for helping the students succeed in their respective courses. I have Engineering and Business degrees. I tutor undergraduates and graduate students in Mathematics, Science, and Business courses, and prepare candidates to take various entrance exams like the GMAT, GRE, ACT, etc. I have Bachelor's and Master's degrees. I have taken and successfully scored well in the GRE. I have helped many students prepare effectively for the GRE. I tutor mathematics regularly, and I am able to help students prepare well for the mathematics (quantitative) section of the GRE. I also taught and tutored math in the two-year college for 7 years. I have been tutoring statistics for over 16 years. I have tutored statistics at various levels - high school, undergraduate, graduate. I taught math in a two-year college for seven years during which I also tutored Various levels of statistics, including business statistics and principles of accounts. I have bachelors and Masters degrees, and with my years of experience, I know what is required to succeed in statistics. I have been tutoring elementary math for over 16 years. I have Bachelors and Masters degrees in Chemical Engineering and Business Administration respectively. I have tutored all the grades in K-12. I teach and tutor math on a regular basis. I have students who started with me when they were in Kindergarten; some of them are now in elementary classes, while some are in middle school, high school and colleges. They are still my students because they trust me to help them succeed in math and science subjects. I have been teaching and tutoring mathematics at various levels, including Algebra 1, for over 16 years. I hold Bachelor's and Master's degrees. I am currently preparing some students in Algebra 1 for the upcoming school year. I am abreast of the course of study standards and the required skills mastery at every level. I am quite familiar with many different school districts. I have Bachelors and Masters degrees. I have been teaching and tutoring mathematics, and science for over 16 years. I also prepare students for ACT and SAT examinations. I taught and tutored math in a two-year college for 7 years; I know what you need to succeed. I have Bachelors and Masters degrees, and I tutor math on a regular basis at elementary, middle, high school and undergraduate levels. I currently teach math on part-time in one of the city schools. I have been tutoring Chemistry for more than 16 years. My Bachelor's degree in Chemical Engineering affords me the added advantage of been able to supplement my tutoring with practical examples. I also tutor mathematics at various levels, including undergraduate. I have been teaching and tutoring mathematics, including Geometry, at the elementary school, middle school, high school and college levels for over 16 years, with success. I am very familiar with the different school districts and the Alabama course of Study Standards. I also prepare students for ACT and SAT examinations. I hold Bachelor's and Master's degrees. I have tutored Prealgebra and other math subjects for many years. I have taught mathematics in middle and high schools as well as in a two-year college. While teaching in the two-year college, I also helped students to prepare for their GED exam. I always keep abreast with the standards required at every level by the state. I hold Bachelor's and Master's degrees, and I have been tutoring Pre-calculus for over 16 years. I taught and tutored in a two-year college for seven years, and I have also taught Precalculus in the high school. I am currently preparing a student in Precalculus for the next school year. I have been teaching and tutoring math and science subjects at various levels for over 16 years. I also prepare students for the ACT and SAT exams every school year and in the summer. I hold Bachelor's and Master's degrees. I have helped many students succeed in ACT and other exams by having thorough practice sessions and teaching them some test-taking skills. I have been teaching and tutoring math at various levels for over 16 years. I also prepare students for the ACT exam every school year and in the summer. I hold Bachelor's and Master's degrees. I have helped many students succeed in ACT exams by having thorough practice sessions and teaching them some test-taking skills. I have a Bachelors degree in Chemical Engineering and a masters degree in Business Administration. I have been tutoring this course for about 16 years. I started tutoring this course in the year 2000 when I started working in a 2-year college in Birmingham. I had a college student to tutor in the last school year, and she passed the course. I hold a Bachelor's and a Master's degrees. I have taught and tutored algebra in the two-year college. My experience teaching in the two-year college puts me in a good position tutor math 100 effectively. I also tutor other math courses, including statistics, at various levels. I have been tutoring math and science for over 16 years. I tutor various levels of mathematics, including primary, secondary, and tertiary levels. These subjects include elementary math, prealgebra, algebra, trigonometry, geometry, precalculus, calculus, finite math, discrete math, etc. I have taken and passed the Praxis test, and I know the required preparations for the exam. I tutor the undergraduate level math subjects that are usually included in the Praxis exam on a regular basis. I have been teaching and tutoring for 16 years. I taught and tutored in the two-year college for 7 years. I have both Bachelor's and Master's degrees. Michael was incredibly knowledgeable, patient, and knew exactly how to help my son. My son's exact words, "I'm very excited, and he makes it all very simple! He knows his stuff, and is so nice! I feel like I'm going to do well in this class now because of Michael's help!" We are so thrilled to have Michael's help, and recommend him to anyone needing help!